To ensure you business is safe and secure, its vital that you make sure that you find a locksmith you can trust, to source, buy, and install the latest security devises out there. At 24-7 Locksmiths we provide not only the best products but always recommend something that is suitable for all your needs. Using our knowledge and experience we provide top grade lock systems, making sure you feel reassured when leaving your property at the end of a working day. We are also able to locate and install a range of security systems such as, digital locks, CCTV and access control to enhance the security of commercial buildings. For more information, see below about the services that we can provide you and your company. We are proud to say we are like no other locksmiths and are able to offer a 24/7 service all year round and including bank holidays! 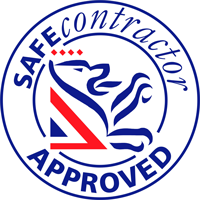 We recommend to our business clients using top grade locks to ensure that their premises are safe. Talk to us now to find out the advantages and benefits. As an alternative to master keys for employees, we could install a key card access system on the doors within your building. Other choices include fingerprint systems and biometric systems, all of which we will be able to locate, install or repair for you inclusive in the price you pay. Commercial premises often have a vast number of access points. Our solution to keeping your security up is to use a master key or as its also known in our industry, a slave key. This is used to manage the whole property making certain, your security is as effective as possible. Almost every business has intercoms. Depending on your business, we could install a simple system for a single door or an advanced system for multiple doors. Unlike a household security system, commercial buildings often need more cameras and a central system; we are able to install those devices for a reasonable price. If you wish to have an alarm fitted in your business, our experts will visit and give you advice for the most suitable devices to meet your requirements. We will board up your broken windows or doors and make sure your property is secured after break ins or closures of your business.